Here's what my blog looks like in so many words. 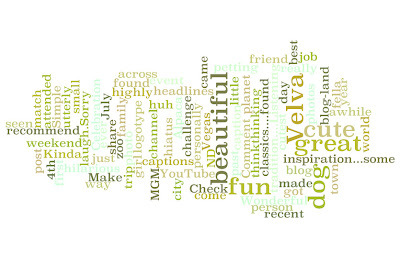 It is generated by Wordle. Try it, it's kinda fun! Not only is it creative, you can play with the fonts, too (for us font addicts)! Thanks for sharing the link! I'm working on mine now.